More than 1,000 Russian athletes competing in summer, winter and paralympic sport were involved in or benefited from an institutional conspiracy to conceal positive doping tests, an independent WADA report said on Friday. The second and final part of the report for the World Anti-Doping Agency by Canadian sports lawyer Richard McLaren provided more details of an elaborate state-sponsored doping scheme operated by Russia. It said there was a systematic cover-up, which was refined at the 2012 Olympics, 2013 world athletics championships and 2014 Sochi Winter Olympics, and that more than 30 sports, including soccer, were involved in concealing positive doping samples. 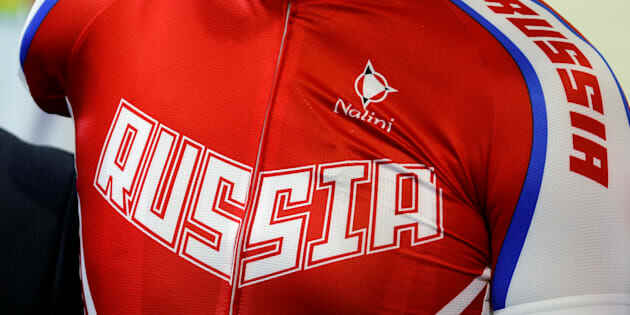 “We are now able to confirm a cover up that dates back until at least 2011 and continued after the Sochi Olympic Games. It was a cover up that evolved from uncontrolled chaos to an institutionalized and disciplined medal-winning conspiracy,” McLaren told a news conference on Friday. “It was a cover-up of an unprecedented scale and the second part of this report shows the evidence that increases the number of athletes involved as well as the scope of the conspiracy and cover up. “Yet the Russian team corrupted the London Games on an unprecedented scale, the extent of which will probably never be fully established,” he said. “The desire to win medals superseded their collective moral and ethical compass and Olympic values of fair play. The report said a urine sample-swapping technique used at Sochi became regular practice at the Moscow laboratory that dealt with elite athletes. It added that four Sochi gold medalists had samples with physiologically impossible salt readings, while 12 Russian Sochi medalists had evidence of tampering with the bottles containing their urine samples. The report detailed how a clean urine bank existed in the Moscow laboratory, where salt and coffee were added to clean samples to try to fool officials testing “B samples” in supposedly tamper-proof bottles. The report included evidence of DNA mismatches, where a tampered B sample did not match the DNA of previous specimens and cases of sample swapping between male and female athletes. The International Association of Athletics Federations (IAAF) said in a statement that 53 percent of the athletes whose details had been shared with them by McLean’s investigation team had been sanctioned or were currently undergoing disciplinary proceedings. The International Paralympic Committee (IPC) said the full findings of the report were unprecedented and astonishing. “They strike right at the heart of the integrity and ethics of sport,” Paralympic sport’s governing body said in a statement. Yelena Isinbayeva, the twice Olympic pole vault champion and now a Russian anti-doping official, however, said it was unfair to single out Russia for criticism. The original McLaren report, released in July, revealed widespread state-sponsored doping in Russian sport. The July report found Moscow had concealed hundreds of positive doping tests in many sports ahead of the Sochi Games and led to a partial ban of Russian athletes competing in the Rio Olympics in August.